your vision, FDM4 is designed to grow your business. Our core starts with development. We listen to our customers and move our solutions in a direction that makes sense for the industry. Look. Feel. Ease of Use. All of these elements come into play when designing a solution that not only looks great, but offers great functionality as well. Streamlined processes built into application-like modules connect and communicate to each other, providing you with an intelligent software solution. Above all else, FDM4 strives to provide a higher level of customer service. Our support reps are dedicated to providing you with the support you need. FDM4 International Inc. has been in the technology industry since 1978. Originally founded by John Cutsey, Owner and CEO, FDM4 was known initially as Cutsey Enterprises – later changing our name to Financial Distribution Management 4th gen. (FDM4) to better reflect the solutions and services we offer. Nestled in Northern Ontario, our international office in North Bay boasts beautiful scenery, and the occasional visits from the local wildlife living in the lush greenery surrounding the building. Our employees get to enjoy natural light streaming in from the floor to ceiling tinted glass that makes up the walls of our office space. Outdoor air is pulled in through vents, ensuring the office always smells fresh and crisp – while helping our employees stay alert and happy. Are you ready for a career at the forefront of technology? FDM4 has grown every year since opening in 1978 – accumulating clients, space, and resources. The best part is, we’re achieving growth while holding fast to the principles on which we were founded. We provide employees with a dynamic and challenging work environment in which they can grow their skills while offering a world-class solution to a wide range of industries. FDM4 is committed to actively seeking the best and brightest talent for our offices in Northern Ontario, and Las Vegas, Nevada. We offer a solution that ties together software, hardware, people and design – so connected and innovative that it makes your business complete. Understanding your business needs drives our organization to develop and design software that meets your needs – in a format that is familiar to your team. Creative and agile, we are big enough to handle blue chip clients, but not so big that bureaucracy weighs us down. As the author, developer, and service provider, innovation shapes our processes – not the other way around. Explore FDM4’s solutions today. You won’t be disappointed. Why Do Companies Choose FDM4? It’s more than just a software. It’s a partnership. We have the resources and the independence to offer our clients a more dedicated experience. At FDM4 you’re not just a number – you’ll know our names – and we’ll know yours. 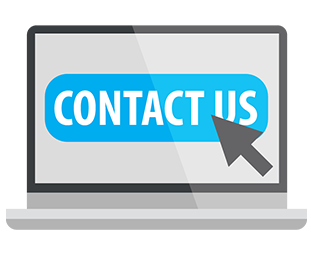 We listen to your needs, take input on your industry, and give you real input into the direction our software takes through an annual conference. FDM4 truly is a Software to Grow Your Business. FDM4 is here to answer your questions. Contact us today to learn how FDM4 can grow your business.